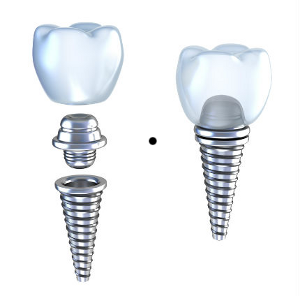 The implants will be ready to receive permanent crowns about 4-6 months after they are first placed in your jaw. At this time impressions are taken for making the permanent crowns. It will take time and more than one visit – a few days at most – to make and properly fit the crowns, with perfect color matching so they look just like your real teeth. The temporary crowns and immediate posts will be replaced with permanent abutments and the new permanent crowns. Once the fitting and installation is complete, your new teeth will be ready for normal use. The permanent crowns are made from metal with a coating of porcelain fused to it that is colored to match your existing teeth. 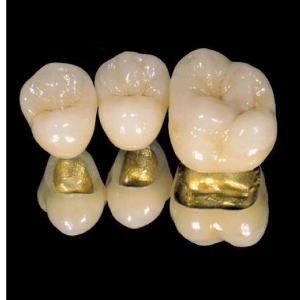 These are durable crowns of high quality designed to last you many years. If you are inclined to grind your teeth, then more expensive crowns made from zirconia are an option. 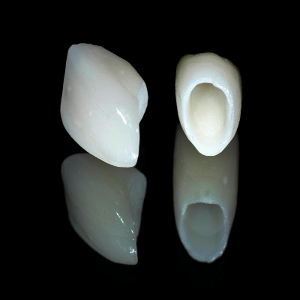 With these solid zirconium crowns there is no coating to wear away over time. Under harsh conditions they will retain their appearance for longer than crowns with a porcelain coating. Your doctor will make a recommendation to you based on the condition of your natural teeth, but the choice will be yours. The crowns will be manufactured and fitted with care. It may take more than a single visit to get them fully adjusted and comfortable. Particular care must be taken with front teeth, and these will likely need more visits to achieve perfection in fit and color.